I hope the early winter weather hasn’t interfered with too many Grange meetings. I missed many Christmas parties because of bad weather. Now it’s back to work. The schools of instruction should all have been completed by now unless some were postponed to this month because of inclement weather. The State Directories and Blue Books were distributed to all Granges. Now it’s up to each Grange to look over the material in them and to let their members know what all the programs and contests are. The new evaluation policy was explained thoroughly, at the different schools, and all questions answered so each Grange should know what to do and expect. After all of these are completed I hope to hear from the officers and members of the Granges as to how this was accepted. Although scoring was eliminated I hope many of you still carried out your Grange work. Remember, there are still requirements that have to be met to receive an Honor Grange Bar at the end of the year. Consult the Blue Book to see what they are. 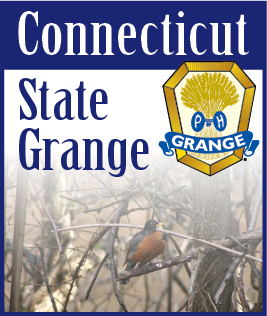 As with all maters of the State Grange, I hope to hear from the members how they feel or if they have any concerns. I may not be able to answer all questions promptly or to do something about your concerns, but I will tell you whether I can or cannot. Now that all information has been distributed it’s time for each Grange to plan their activities for the rest of the year. What can you do to improve your Grange? What can you do to help your community? I am sure the Officers and Committee Members, of the State Grange, will be glad to assist anyone who asks. If you don’t who to ask, contact your deputy or me and someone will be there to help.